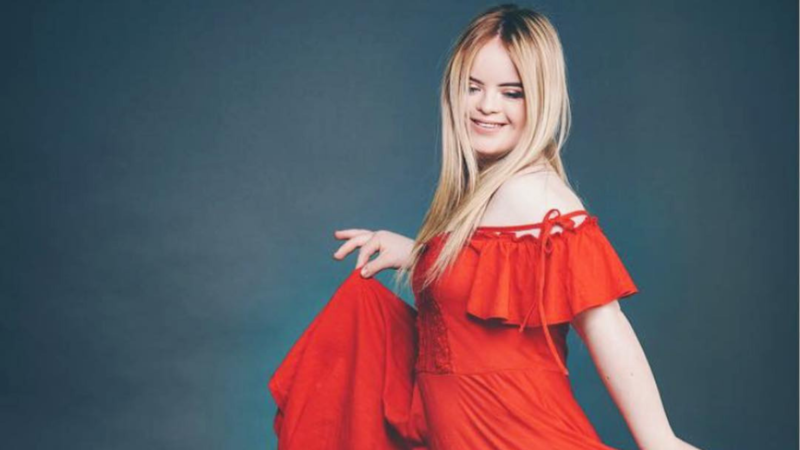 Kate Grant, a 20-year old model with Down Syndrome, is opening doors for the differently-abled to break through the beauty industry—and she’s facing it all with her eyes wide open. “She is paving the way for people coming behind her. Kate is aware of that and wants to spread awareness about inclusion for people with disabilities and that is what she has done from the very start… She is aware that she is able to do that in a way some of her friends cannot. She is using her voice for them,” Kate’s mother Deidre told Metro UK in an interview. When Kate won the 2018 Teen Ultimate Beauty of the World, it was her first international pageant crown. In 2017, she strutted the runway during the Belfast Fashionweek as the first ever model with Down's syndrome to grace the stage. Check this link and see her receive a standing ovation for her stint. Recently, Kate made waves yet again. She scored an endorsement from popular cosmetic brand Benefit as one of their endorsers for a new eyeliner. This brand ambassadorship role for a major cosmetic brand increases representation for those with a disability in the beauty industry. We’re excited for what more is in store for Kate!